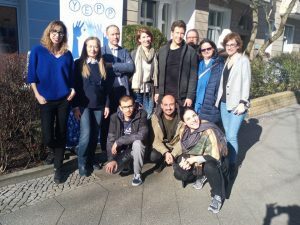 The second meeting of the Fake Off project was held in Berlin – Germany on the 25th, 26th and 27th of February and hosted by Yeep Europe, an institution that works in the field of youth and community support in disadvantaged areas. Future Balloons is developing the interactive mobile application that allows young people to identify fake news and includes a set of interactive games and learning tools. At the meeting, issues related to the development of the application were discussed. It also has contents aimed at teachers and professionals working in youth organizations and institutions.